Can Cognitive Flexibility Be Learned? Would you have a problem voting for an African American political candidate? If you saw two Muslim men with duffle bags in line for your flight, would you switch to a different flight if you could do so for free? Or, if you plan to adopt a child, would you (if you are Caucasian) decline an African American child? Asked these questions, most people would respond no, no, and no. But psychologists know simple questions often have complex answers. Our two-track mind simultaneously processes information on separate conscious and unconscious tracks (Myers & DeWall, 2019). Although our conscious track might cringe when asked these questions, the unconscious track might have formed gut-level associations that indicate implicit bias toward African Americans, Muslims, and other groups. Psychologists have developed tools to measure these potential implicit biases, such as the Implicit Association Test (IAT; Greenwald, McGhee, & Schwartz, 1998). The IAT is a reaction-time-based measure of how quickly people associate psychological concepts. For example, people may be faster to associate negative concepts (the word “unpleasant”) with a typically African American name (“Jamal”) than with a typically Caucasian American name (“James”). Few psychological measures have burst onto the academic scene with more impact than the IAT, accruing more than 10,000 citations (Google Scholar, 2019). More than 20 million people have completed various versions of the IAT online on the Project Implicit website (https://implicit.harvard.edu). small correlations between IAT scores and discriminatory behaviors (between r=.13 and r=.24). In response, Jost argues that the IAT’s test-retest reliability is normal, contextual sensitivity is expected, its scoring method is reasonable, and the IAT’s small predictive validity effect sizes can have impressive and impactful implications (Greenwald, Banaji, & Nosek, 2015; see also Prentice & Miller, 1992). To take this cutting-edge research into the classroom, instructors can have students complete the following two activities(at right). The first activity is an in-class demonstration of a race-assessing IAT. (Thanks to B. Keith Payne and Mahzarin Banaji for generously sharing this demonstration.) The second activity is designed to show students how people can have negative implicit associations toward their in-group. Next, instructors can ask students how many NO responses they have. If they’re comfortable doing so, ask students to raise their hands if they had five, four, three, two, one, or zero NO responses. Most students will have at least one NO response because it is counterintuitive for people to show implicit outgroup favoritism. Instructors can then let students know that the scientific evidence suggests that each answer is YES (see Jost, 2019, for a review). Students can form pairs and discuss why they think members of minority and disadvantaged groups may show implicit outgroup favoritism. Why might this happen? Time permitting, instructors can introduce system justification theory, which argues that people have needs to defend and justify the status quo, even when the system puts those same people at a disadvantage (Jost & Banaji, 1994). How might system justification theory help explain implicit outgroup favoritism? Bias runs counter to goals of having an inclusive and free society. Although many people think of themselves as unbiased, their self-perception is based on their conscious awareness. Implicit bias lurks beneath our awareness, and can affect a variety of outcomes. Like any psychological measure, the IAT isn’t perfect. But it offers a useful method to uncover hidden associations that can help or hinder social change. Instructors can download this PowerPoint presentation. It consists of three phases. First, students will complete a practice session to familiarize themselves with the task. Specifically, they will tap their left leg (with left hand) for words related to safety and tap their right leg (with right hand) for words related to crime. Second, students will complete a session that asks them to categorize names as White-typical or Black-typical. Third, students will complete several trials that combine what they did in the first two sessions. After completing the demonstration, ask students whether they noticed their responses changing across the tasks. Were certain parts of the task easier to complete than other parts? How did students’ responses match or not match their self-defined beliefs about Caucasian Americans and African Americans? 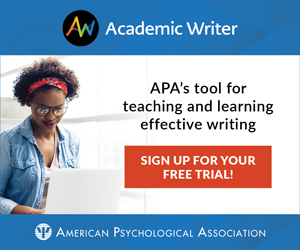 Instructors can summarize the basic goals of the IAT, its history in psychology, and some of its common critiques. How do students consider their experience doing the IAT demonstration in light of these criticisms? ___ Do you think people who are poor would favor people who are rich on the IAT? ___ Do you think people who are obese would favor people who are normal weight on the IAT? ___ Do you think people who are Hispanic would favor people who are Caucasian on the IAT? ___ Do you think people who are Black would favor people who are White in South Africa on the IAT? ___ Do you think men who are gay and lesbians favor straight people on the IAT? Greenwald, A. G., McGhee, D. E., & Schwartz, J. L. (1998). Measuring individual differences in implicit cognition: The implicit association test. Journal of Personality and Social Psychology, 74, 464-480. Jost, J. T., & Banaji, M. (1994). The role of stereotyping in system justification and the production of false consciousness. British Journal of Social Psychology, 33, 1-27. Myers, D. M., & DeWall, C. N. (2019). Exploring psychology (11th ed.). New York: Worth Publishers. In our fast-paced world full of interruptions and multi-tasking, shifting mental gears is an essential skill. Professors exercise cognitive flexibility when they pause during a lecture to answer students’ questions, and then turn to resume their lecture. The ability to shift seamlessly from one task to another offers advantages in any environment in which immediate goals can change, such as driving in heavy traffic (braking when traffic stops unexpectedly), playing a team sport like basketball (changing directions when the ball is stolen), or cooking a multi-course meal (preparing different menu items). Cognitive flexibility also allows people to suppress habitual behaviors in favor of less-practiced but contextually-appropriate behaviors, such as refraining from adult language in the presence of children. Braem and Egner (2018) explain how cognitive flexibility is measured in the lab and discuss evidence that cognitive flexibility can be encouraged through training and context. For every lowercase word, rate the pleasantness of the word on a scale of 1 (unpleasant) to 7 (pleasant). For every uppercase word, indicate whether the word is a noun (N), adjective (A), or verb (V). Write your response for each item as quickly as possible on a blank sheet of paper. Have students reflect on their performance. Did they make any mistakes? Were they slower to respond on some trials relative to others? One measure researchers have used to assess cognitive flexibility is switch cost – slower and/or less accurate responses on trials in which the task switches (here, from pleasantness rating to grammar categorization or vice versa) relative to trials in which the task repeats. It is likely that if students stumbled, they did so on trials that required a shift in task. Higher switch cost is an index of lower cognitive flexibility. Ask students to generate everyday situations in which cognitive flexibility plays an important role. Then ask students about the nature of cognitive flexibility – do they think it is a fixed ability? How is it controlled? Can it be developed over time, and if so, how? Some researchers have conceptualized cognitive flexibility as a type of “meta-control” that guides lower levels processes (Goschke, 2003; Hommel, 2015). In this view, cognitive flexibility acts in an executive way to set and even override goals (Diamond, 2013). What controls cognitive flexibility? To some researchers’ surprise, cognitive flexibility can be conditioned through practice, training, and even context. For example, simply increasing the number of times participants must engage in task-switching reduces the switch costs (Dreisbach & Haider, 2006). Ask students how the two lists differed. Both List 1 and List 2 include 15 items of each type. However, List 1 requires only 4 task shifts, while List 2 requires 22 task shifts. Although students may perceive List 2 as more difficult overall than List 1 because it contains many more switches, the average cost of making a switch on any one trial (that is, the speed of responding and/or the likelihood of making an error) is reduced in List 2 because the context requires extensive switching. As students practice switching, they seem more prepared to respond to change and the switch cost diminishes. Another measure of cognitive flexibility is switch rate – how often people choose to switch tasks when given a choice. Higher voluntary switch rates are associated with increased cognitive flexibility. Switch rates can be conditioned by reward (Braem, 2017). In these studies, people engage in a task-switching exercise like the one above. After each trial, however, participants are awarded points in a seemingly random fashion. Unbeknownst to participants, more points are awarded after task-switch trials than task-repetition trials. Although participants are generally not aware of the point contingencies, they are affected by them. Later, if given the option of task-switching or task-repeating in the absence of points, participants choose task-switching. Cognitive flexibility has been considered by some investigators to be a hallmark of higher-order cognitive functioning. It has been characterized as an override mechanism that allows people to change goals or pursuits, thereby mediating adaptive behavior (e.g., Diamond, 2013). Others have speculated that deficits in cognitive flexibility may contribute to the behavioral challenges experienced by some populations, such as individuals with autism spectrum disorder, obsessive-compulsive disorder, or major depressive disorder (Geurts, Corbett, & Solomon, 2009; Meiran, Diamond, Toder, & Nemets, 2011). However, growing data suggest that cognitive flexibility — as measured by switch cost and switch rate — can improve with time, especially when people are rewarded or are required to switch tasks frequently. Although it is not clear whether these benefits are context-dependent or if they will generalize to everyday behaviors (e.g., a reduction in compulsive behaviors for an individual with OCD), the findings do challenge the notion that cognitive flexibility is a fixed skill and offer potential avenues for facilitating behavior change in individuals thought to be cognitively rigid. Braem, S. (2017). Conditioning task switching behavior. Cognition, 166, 272–276. Dreisbach, G., & Haider, G. (2006). Preparatory adjustment of cognitive control in the task switching paradigm. Psychonomic Bulletin & Review, 13(2), 334–338. Geurts, H. M., Corbett, B., & Solomon, M. (2009). The paradox of cognitive flexibility in autism. Trends in Cognitive Sciences, 13(2), 74–82. Goschke, T. (2003). Voluntary action and cognitive control from a cognitive neuroscience perspective. Voluntary action: Brains, minds, and sociability, 49–85. Oxford University Press. Hommel, B. (2015). Between persistence and flexibility: The Yin and Yang of action control. In Advances in motivation science, 2, 33–67. Elsevier. Meiran, N., Diamond, G. M., Toder, D., & Nemets, B. (2011). Cognitive rigidity in unipolar depression and obsessive compulsive disorder: Examination of task switching, Stroop, working memory updating and post-conflict adaptation. Psychiatry Research, 185(1), 149 – 156.